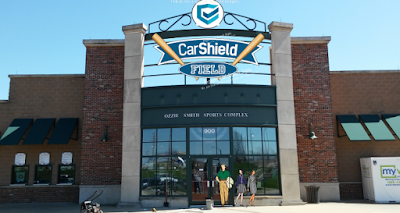 O’Fallon, Missouri – The River City Rascals and CarShield, a national industry leader in vehicle service contracts with headquarters in St.Peters, have formed a long-term partnership in a historic agreement to rename the Rascal's ballpark to CarShield Field. The stadium opened in 1999 for the first season of Rascals baseball as T.R. Hughes Ballpark and has become a well-known and well-loved part of the community. Now, the Rascals are excited to enter into their eighteenth season of play with a new community-based partner dedicated to helping make improvements to the facility for current and future generations of fans. Improvements will begin during the 2016 season with the opening of a sports bar and lounge inside the stadium, as well as a remodeled Budweiser Party Patio with new amenities. The partnership will allow the Rascals to bring world-class athletes and performers to CarShield Field during the 2016 season, including Tony La Russa, Chris Carpenter, and The Bachelor’s Chris Soules. CarShield employs over 200 employees in St. Charles County and provides high quality aftermarket vehicle protection plans to customers nationwide. CarShield and its administrators have helped extend auto repair coverage for millions of car owners. Contact Lisa Ferreira Telephone (636)240-2287 x 233 Email lferreira@rivercityrascals.com Website www.rivercityrascals.com FOR IMMEDIATE RELEASE April 7, 2016 In its seventeen year history, T.R. Hughes Ballpark has been host to many major events such as a presidential rally, the Shaq vs Pujols Home Run Derby, and the MSHSAA Baseball Championships. Over 2.5 million people have visited the stadium, making it the premier destination for minor league sports in St. Louis and the surrounding area. "We've always been huge fans of the Rascals and the ballpark. When the opportunity presented itself to help benefit the team and the community, we knew we couldn't pass it up," said Nick Hamilton, part-owner of CarShield. "The entire CarShield family is beyond excited for this partnership and looks forward to further strengthening our ties to the community." The new CarShield Field will kick off with an outstanding opening weekend featuring an appearance by long-time Cardinals manager Tony La Russa on Saturday, May 21. Opening night is Friday, May 20 and will center around an escalating jackpot giveaway in which one lucky fan will walk away with thousands of dollars based on the number of tickets sold to the game. The weekend, presented by Mercy, will conclude with the Mega Candy Drop, where a helicopter will fly over the field after the game and drop 20,000 pieces of candy to kids age 3-12. The event is free and only requires a ticket to the game to participate. Other exciting theme nights this season include Superhero Night on May 28, Star Wars Night on June 12, Chris Carpenter Appearance Night on June 25, Harry Potter Night on July 16, and Willie McGee Bobblehead Night on August 19. The Rascals will host twelve character appearance nights and six on-field movie nights, the most in team history. For more information on promotional and theme nights, visit www.rivercityrascals.com/schedule/2016promotions/. To purchase tickets to any regular season Rascals game, visit http://www.rivercityrascals.com/tickets/individual/ or call the Rascals box office at (636) 240- 2287. 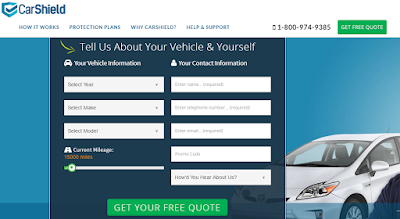 For more information about CarShield and their products and services, visit https://carshield.com/. There are a lot of personal attacks in national politics these days, but the New Wentzvillian has to wonder if that is what Wentzville wants. 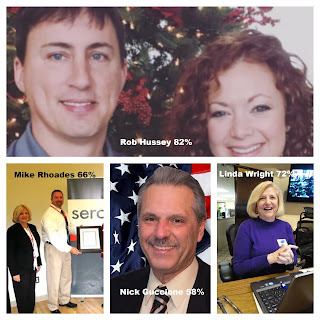 One thing is for certain, in this April's race for Mayor, challenger Chris Gard has been relentless in his failed attempts over the years to smear the name of Mayor Nick Guccione. Given the New Wentzvillian's fact gathering over the past half a decade, we cannot find one instance where Mayor Nick Guccione attempted to besmirch ANY political opponent. However, Chris Gard has formed a habit of attempting to do just that to Mayor Nick Guccione. It has really gotten old. 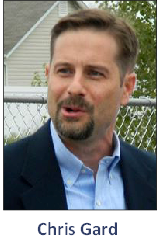 In fact, in his campaign literature and on his website, Gard says that if he is elected he will create a citizens committee to investigate any wrong-doing by city officials. Is this Gard's 2016 version of Senator McCarthy's Un-American Activities Committee? As The New Wentzvillian sees it, Gard's committee would essentially amount to his own personal political revenge committee and would be used to intimidate and threaten his political enemies -- Not unlike what the Republican Party wishes they could do to Donald Trump. Gard's biggest challenge in this election are the facts. 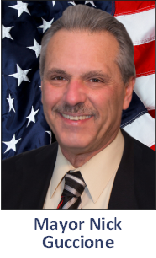 Mayor Guccione has done an outstanding job during his four years as Mayor and has earned another term. The proof is all around us. Wentzville is a great hometown and by any measure our community is one of the best places to call home. Have you ever driven through a random neighborhood on a sunny day? OMG! Families, kids, neighbors everywhere! We are a safe community where our children and grandchildren can enjoy playing in our many parks and participating in recreational opportunities. We are also a retirement friendly community that cares about its seniors. Under Guccione's guidance, our city has continued to honor its history and the service of our veterans, as well as our police and firefighters, who put their lives on the line to keep us safe. Wentzville is also an attractive community for new business, industry and job creation. It is why we are one of the fastest growing cities in the state. In the year 2000 our city had a little less than 7,000 residents. Today we have a population of around 35,000. That is a 500% increase in just fifteen years. That we have been able to keep up with the rate of growth is a tribute to the teamwork between Mayor Nick Guccione and the aldermen.